In 20-plus years of writing, few topics have escaped Nancy Moreland’s pen. She has received recognition for environmental reporting, conducted interviews while kayaking and convinced hundreds of people – from farmers to philanthropists – to share their stories. Her travel articles have appeared in the Chicago Tribune, Orlando Sentinel, AAA Southern Traveler, VisitFlorida.com and other publications. An active member of the Society of American Travel Writers, she has studied under well-known travel writers Tim Leffel, Amanda Castleman and Gabi Logan. 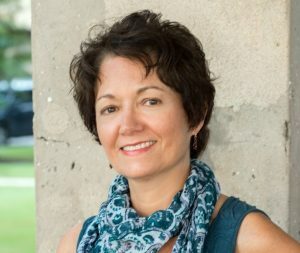 When writing, Nancy strives to capture the essence of a place through first-hand experience, interviews and research – whether that means braving bugs and bears in the Florida outback or exploring the history and mystery hidden in its small towns. By putting a fresh spin on popular destinations and wandering off the beaten path, she helps time-challenged travelers make the most of their experience. Nancy will be writing about the following six small towns in 2019: High Springs, Micanopy, St. Marks, Steinhatchee, Williston and White Springs. Look for her work in the Places to Go section of our website. Her work is currently featured in our coverage of Monticello and Suwannee.